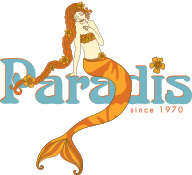 Thanks to Mary Tomlinson of Paradis Graphix for her help consulting on this website, and for designing our brochures, business cards, and all my graphics design work for the past 30+ years. Thank you Mary… You're the best! A full spectrum graphic design studio creating inspirational design from conception to completion. 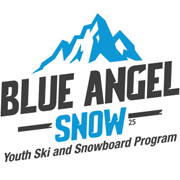 Welcome to the official web site of the Blue Angels, a unique program aimed at providing today's youth with the opportunity to either learn or excel at snowboarding or skiing in a supportive, friend-filled environment. We have enjoyed having nearly 10,000 students participate in our 5-Saturday program, and we look forward to seeing the many new faces this season will bring. XTC Tours, San Diego's locally based ski tour company has moved their offices to Mammoth! They still offer overnight trips to Mammoth and beyond, and Day Trips to Big Bear Mountain Resorts. Tel # 805-901-4753 (Nancy) A management and rental company that has on call services, staff that truly know each unit and a knowledge of Mammoth and it's surrounding areas. Whether you prefer a luxury townhouse with private jacuzzi or units in the Village, or 2 large unique homes. All are clean, comfortable with well equipped kitchens, luxury fluffy towels and fitted sheets, spa quality toiletries and the needed paper products. John Gray started commercial sea kayaking tours in Hawaii in 1983, and moved to Phuket, Thailand six years later, setting up the first sea kayaking operation in Phang Nga Bay, the multi-award-winning SeaCanoe who's stunning trips led to a string of six major Ecotourism Awards from 1995-99. Today he runs John Gray's SeaCanoe, also based in Phuket, with trips throughout Thailand, and also Viet Nam, Puerto Princessa, Philippines, Fiji, and Hawaii. "All I do is paddle into crazy places. If it's interesting, I show it to my friends." Email for more information or from USA call Tel: 01166 76-254506. The Southern Terrain specializes in professionally guided ski/snowboardtours to the South American Andes. We offer all inclusive adventures tomultiple resorts designed to accommodate all ability levels and terrainpreferences. THE place to get snowchains that FIT your wheels perfectly, install easily, and last most durably. SNOWCHAINS101 provided with EVERY set purchased! Plus: News, Events, Videos, Photos and More.